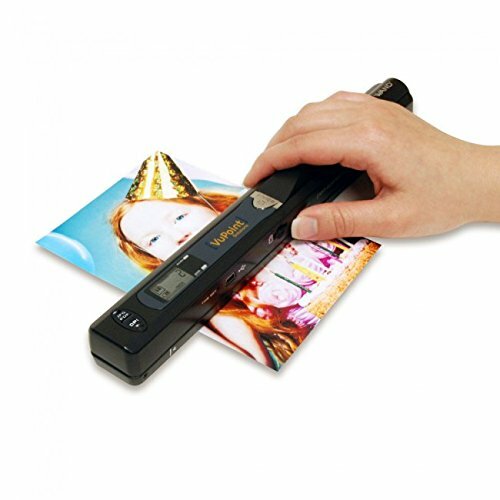 Less than a foot long, the Magic Wand Portable Scanner scans documents, photos, newspapers, receipts, and more, and saves them to a microSD card up to 32GB (SD card required, NOT included). It's perfect for travelling, or even simply keeping at home as an alternative to bulky scanners. Slide it into the drawstring pouch for instant protection, and easily transport it in a purse or briefcase. Because the scanner is battery powered and saves up to 200 scans per battery refresh (batteries included), there's no hassle of trying to take a charging cable everywhere, making it reliable anywhere you go. Order now to scan important documents on the go, archive precious pictures and your kids' drawings, and eliminate the clutter from your day-to-day life.